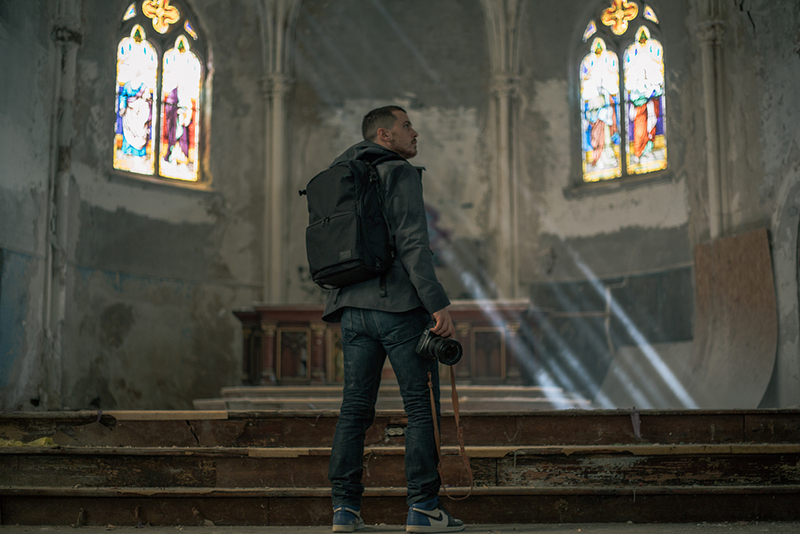 HEX has dropped the Ranger Collection an innovative Clamshell Backpack and Sling. Both models feature black Cordura and a camo print. 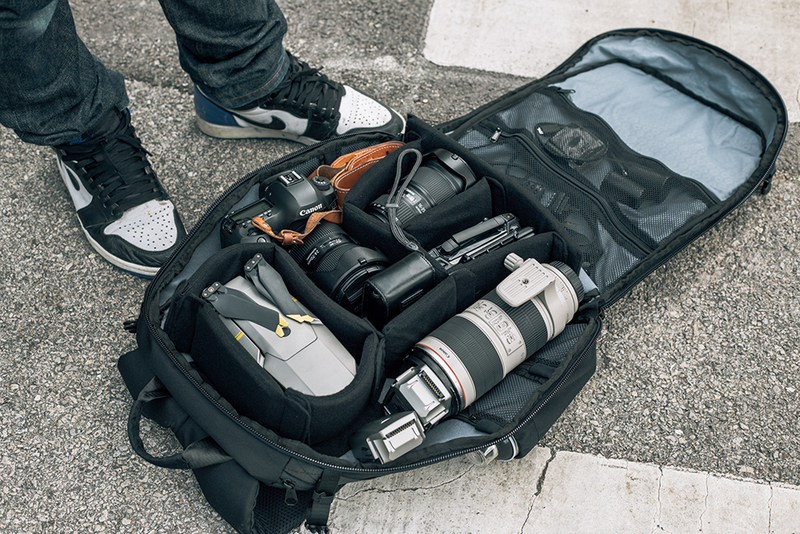 Input from renown street photographers, Trashhand, Misshattan, and Travis Jensen helped with the design and functionality of the pack. 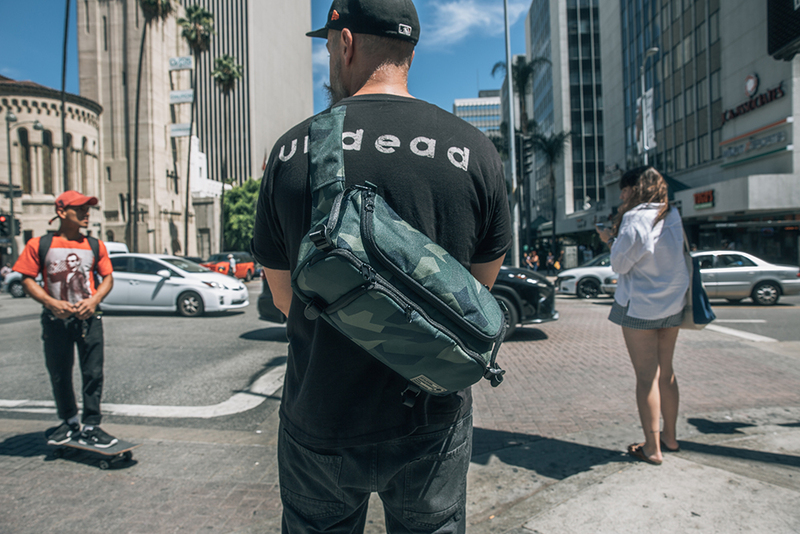 The Clamshell Backpack features a patent pending design for top, left, or right-side loading for quick access. The internal compartment is customizable with EVA foam partitions. A padded, faux-fur lined device pocket fits a phone and laptop. Other features include: a hideaway rain-fly, pass-thru luggage partition to allow the bag to be used in conjunction with roller luggage, a new shoulder strap design for added comfort, numerous accessory pockets, water bottle holder, security clip, molle systems, compressions straps, and tripod straps. The Sling works hand in hand with the backpack. The Sling folds flat for travel and can be opened up with full EVA foam protection once you reach your destination. Removable foam dividers allow for a custom configuration and protection for your gear. 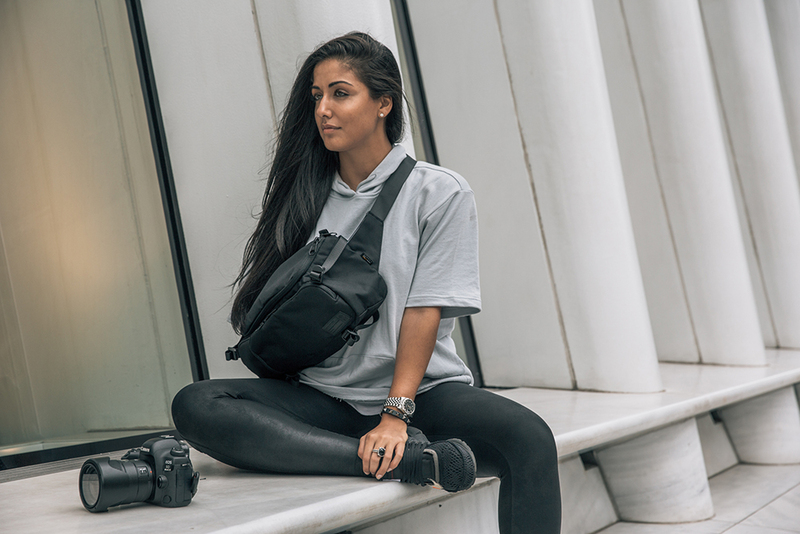 Other features include: a roomy main compartment, separate faux-fur lined pockets for both phone and tablet, compression straps, mini tripod straps, and 2 discrete stash pockets.